According to Berger (2013), “reflexivity in qualitative research is affected by whether the research is part of the researched and shares the participants’ experience” (p. 1). Categorizing three different positions of researchers, as insiders, strangers, and ones who become insiders during their studies, she emphasizes that understanding reflexivity in a context is crucial as “the degree of researcher’s personal familiarity with the experiences of participants potentially impacts all phases of the research process” (p. 11). In this light, my position in Bin-Zib, an alternative community that I researched in South Korea, was much more complicated. While I had always felt I was a part of the community, I realized in fact I had always been an outsider in the course of my fieldwork. 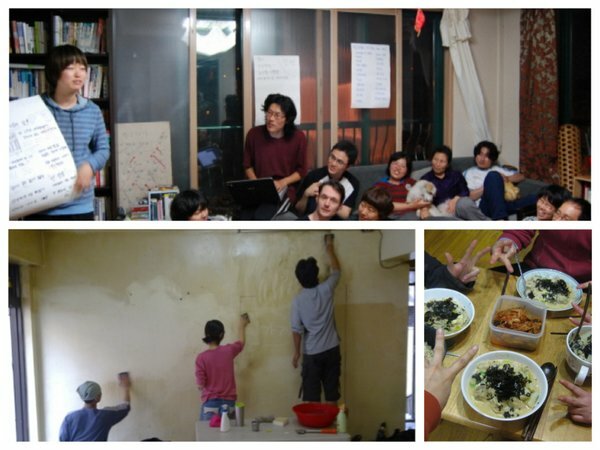 Bin-Zib is a communal living experiment that aims to transform the space from an individual’s property into common property in Seoul, where house ownership is more concerned with commodity investment than housing as a home. The name, Bin-Zib was coined to mean both “empty house” and “guests’ house,” and refers to an alternative interpretation of property and guest-centered ownership (regardless of their length of stay, both visitors and residents are considered “guests” and owners of the space). Opposing liberal notions of private property ownership and re-organizing urban housing as a commons, Bin-Zib’s founders rented a building and communalised it by letting others live there. As the number of Bin-Zibs increased, members set up a fund for economic solidarity named Bin-Go to expand the experiment and deal with capital in an alternative way. A co-op café, started as a side-project by several members, has become a nodal point for communal interaction not only among members but also local residents. 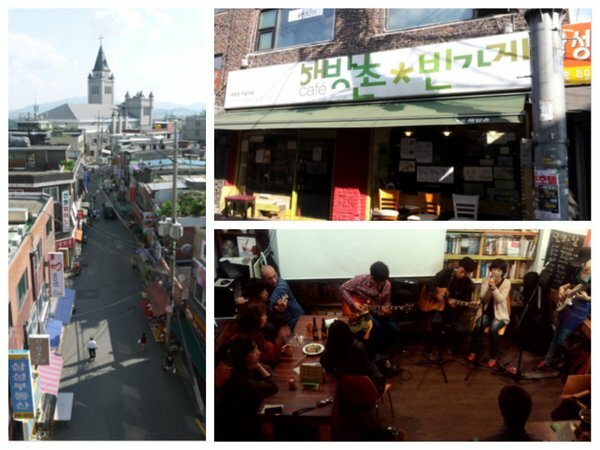 At present, while seven Bin-Zib houses approximately 50 people in Seoul, there are five other communities outside Seoul with the overall assets of Bin-Go ($240,000) funded by 201 members. Contrary to many researchers’ warnings that getting into a research locale “can be fraught with difficulties” (Berg, 2009: 204), gaining access to the community was not difficult at all. The community did not enforce any strict rules for its membership, while the members proclaimed it as “a house that is open to all” (Bin-Zib, 2009). My acceptance into the community was immediate, and it did not only stem from the exceptional openness of the community. I had been intimately acquainted with the individuals, who became the first generation of Bin-Zib for a long time even prior to the inception of the community. I also stayed there twice as a short-term guest in 2008 and 2012 each time for a week. Even though only two of my long-time friends had remained in Bin-Zib during my research period, the smooth entry was certainly not surprising. After all, I was no stranger to the community. Moreover, I had always considered myself as a strong advocate of the community and had great affection for the early members of Bin-Zib. I met the individuals who constituted the first generation of Bin-Zib through a blog sphere, which had a progressive political orientation, and shared communal political, cultural experiences. It was also the blog sphere where the founders of Bin-Zib had posted the idea about a communal living project. I thus had had a conception and assessment of the community although I had never actually lived there. As I left from South Korea right after Bin-Zib started and spent the next four years abroad, I was not able to follow various events and developments taking in place in the community. Meanwhile, Bin-Zib began receiving media attention as an alternative way of tackling the serious housing problems in South Korea, and found itself inundated with inquiries from potential new members. Each time when I visited Seoul and opened the door of the first Bin-Zib, unfamiliar faces greeted me. For me, however, Bin-Zib was an autonomous project, which was suggested, discussed, and ultimately shaped by the multitude of people networked via the Jin-Bo blog community. To summarize, I have occupied an ambiguous position with relation to Bin-Zib. As a friend of the community’s first generation members, and as a supporter of the autonomous movement against neoliberal capitalism, I had formed my own assessment of the community despite never having actually lived there. While I was aware of certain aspects of Bin-Zib, aspects that many actual members did not know, this information was inevitably biased from having heard the stories only from particular standpoints. I was very accustomed to the unique atmosphere of Bin-Zib, one which many first-time visitors perceived as strange. This close yet limited perspective certainly affected my view on Bin-Zib, and I tended to overlook certain phenomena especially in the initial stage of the fieldwork. Once I started my fieldwork living in Bin-Zib, I tried to participate in various activities and meetings as much as possible while making an effort to be a careful listener in order to gain a sense of the community. Whenever people held meetings at each house or the co-op café, they naturally shared conversations regarding issues in the community. Having listened to those conversations carefully, I drew a mental map of the community members’ relationship, while taking field notes on a daily basis. However, I could not find a balance between participation” and “observation” in the early stage of my field research. Unable to establish my position between a participant and an observer, I could not help but restrain myself from interjecting my own opinion in these talks. The biggest obstacle I faced in positioning myself in the field was my misconception of my insider status. I had not fully realized the fact that the perspective I had on Bin-Zib actually was that of outsiders and differed greatly from those held by the community members. I had mistakenly believed that I could understand and analyze this community well, but it did not take long before I realized that I only knew a small fraction of what constituted the community. This realisation prompted me to pay attention to different voices of the community not only from earlier generation but also from others whom I had not heeded closely. Going through Bin-Zib’s digital sphere, which I had not included in my earlier archival research, was the only way to do so. Every morning, I chronologically examined on-line posts accumulated from the past. It was incredibly time-consuming and laborious, but also valuable. While scanning those posts, I recognized how flat and static my understanding of Bin-Zib had been. There were numerous voices, constantly contesting, merging, shifting, and diverging from each other, while creating complicated dynamics in multiple dimensions. A person who had proclaimed a radical opposition to capitalism in one moment would reveal his/her desire for privatizing space. In another instance, a member who had kept strict watch against hierarchy in the community was confronted and baffled by the rise of personal charisma surrounding him/herself. People were not only different from each other, but also constantly changing themselves in terms of actions, opinions, roles and relationships with others in the constantly changing arrangement of the community. Meanwhile, the community itself evolved as members dealt with recurring dilemmas. The turning point in finding my positionality came accidentally while I was conducting the archival research. I unexpectedly found myself staring at the transcript of a meeting that I had attended in 2012. During my second stay in 2012, I witnessed serious debates concerning how to use the collective money. When I heard that the debate had been going on for more than six months, a wave of frustration overcame me. It seemed beyond reason to me that they had endured this agony in order to convince newcomers who disagreed with the fundamental ideas of the community. I attended one of the meetings, to which, pursuant to the spirit of ‘open’ community, non-members were welcomed, and stated my opinion of Bin-Zib being not only a living space but also a movement, “as an observer as well as a supporter of the movement” (Che, 2012, Jun 25). It was a very strange experience, even though I clearly remembered what I had said in the meeting. I came upon my own comments, articulating a specific direction for Bin-Jib as a social activist. Expressing my opposition to capitalist values, my words were aimed at those who did not want to share resources even as they benefited from contributions made by previous members. This experience surprisingly estranged me from the way I had always viewed and related to Bin-Zib. Reading the record, I could make an observation of myself who participated in forming the specific constellation of Bin-Zib. The above experience provided me with a benchmark for how I should understand the balance between “participation” and “observation,” not as being poised between two extremes but as being an active part of the community while analyzing myself as part of the research. In other words, it was about turning my “lens back onto one self to recognize and take responsibility for one’s own situatedness within the research and the effect” (Berger, 2013, p. 2). In this sense, being part of the community did not mean “going native by absorbing our subjects’ values” (Clawson, 2009: 68). Rather, it meant tracing diverse elements and threads in the complicated texture of community, while becoming a part of the rhythm of weaving. Bin-Zib was not a unified community with defined common values or a political orientation, but a battleground between different values, bodies, and sensibilities. Thus, it was practically impossible for me to absorb their value. With my experience of estrangement as a starting point, I became actively engaged in community life. I began to express my opinion in important meetings as a member of the community. I was not only a participant in various events in the community but also became an organizer for some events. I engaged in these events wholeheartedly, enjoying the daily rhythm of the community life and developing a deep affinity with members. I even clashed with some members occasionally over important community decisions. Although my engagement could have been inappropriate from the viewpoint of methodological convention, I was able to observe the complicated and nuanced stances of each member more clearly by expressing my own opinions and eliciting deeper discussions. The moments of tensions helped me to more clearly understand how various desires and interests clashed over issues, and gave me experiences of being a part of the process where members dealt with those problems collectively. Ironically I became ‘unobtrusiveness’ in these obtrusive acts. Reviewing Schwalbe (1996)’s ethnographic research on the men’s movement, Harrington (2002) defines Schwalbe’s key strategies as provocation and constructive engagement (p. 58). According to Harrington, Schwalbe raised tensions by expressing provocative opinions, to which many members might even feel hostility, rather than blending in. These strategies were effective because the researcher not only aimed to “tell an interesting sociological story, but to change the movement itself” (p. 58) as one of the committed members. With a similar attitude, I tried to engage constructively to understand the community where community members were required to change their daily life patterns in various ways, creating new values and relations, from the inside. ‘Estrangement’ was a valuable experience and disposition in my research. While I was not always consciously applying this technique, I tried to use my own experience of estrangement as a strategy to secure the analytical distance as much as possible. Although I was fully engaged in communal events while they took place, I distanced myself from any personal feelings and roles that I had in the moment when I analyzed the events at a late date. I transcribed people’s speech at community meetings during the first month of the field research. To utilize the method of estrangement through note taking, however, I discontinued the task after a month, passing it on to other members. I was thus able to gain access to volumes of meeting records in which my engagements were transcribed and described in third person. I also changed the way I recorded field notes. Initially, I made analysis in addition to descriptions on a daily basis in the first month. I changed the approach later to simply record what happened, including my own speech and actions as accurately as possible. In addition, as I built affinity with Bin-Zib members, they encouraged me to use an audio recorder, which allowed me to become absorbed in the situation, even for very intimate conversations over drinks. Transcribing the audio recordings of heated moments, which included my own awkward voice, also allowed me to keep a distance and analyze the situations. Last but not least, situating members of Bin-Zib, including myself, and the movement itself in the larger sociopolitical context of South Korea was critical in understanding the everyday occurrence in the community. Political and social movements in South Korea have been historically formed around an ideological unity, struggling to gain hegemony in the society. In this light, Bin-Zib is unique. Without any unified ideology that directs their action in the realm of everyday life, the culture of Bin-Zib is in stark contrast to this tradition. What social, political and cultural factors lead to Bin-Zib‘s formation? How did such factors affect each member? And how was the movement rooted in the practical everyday life without clear program? By situating Bin-Zib in the sociopolitical context of South Korea, my field research incorporated both micro and macro perspectives. Rather than being a detached researcher, I was immersed in the community, eagerly working to engage constructively in the movement of urban commoning. At the same time, I tried to examine this movement critically, by turning the lens of analysis back on myself as well as situating both Bin-Zib and myself within the larger social context. I believe these strategies were conducive in understanding Bin-Zib, where members themselves analyzed their own situations reflexively to deal with their problems. Not only by reading academic writings collectively but also by inviting leftist scholars to their projects, pushing scholars to think of possible alternatives, Bin-Zib members actively engaged in the act of ‘learning’ collectively. Research on Bin-Zib, therefore, inevitably had characteristics of public anthropology, which aims to engage larger social issues and the public beyond “self-imposed disciplinary boundaries” (Borofsky, 2000: 9), by getting rid of “unnecessary distinctions” between politics, actions, and intellectual works. (Osterweil, 2013: 599-600). The issue I have to contemplate now is the question of how to make this study on the commoning experiment an ensemble that “tears open the textual fabric of the ‘other,’ and thus also of the interpretive self … opening up of a closed authority” (Clifford, 1983: 134) rather than as a work of “monophonic authority” (P. 15). Bin-Zib members produce discourses and cultural actions. Their productions are never univocal. About one month ago, I received an email from a young member, entailing his unique interpretation of Bin-Zib based on game theory. This incident is a reminder that each member has a different idea of Bin-Zib and that they are constantly questioning what Bin-Zib is or what it should be. How shall I convey the heterogeneous multiplicity of Bin-Zib, when it is also creating commonality? How shall I make it possible for readers to hear those multiple voices in the community, letting the data speak for itself? The open-ended nature of these questions in themselves are perhaps the key to further develop my study of Bin-Zib through constructive engagement, estrangement and contextualisation. Didi Han is MA student in Communication at Simon Fraser University. Her research interest is mainly about contemporary urban movements and its way of communication in the neoliberal society. She particularly aims to examine those movements through the lens of political economy of culture and subjectivity. She is currently developing an international network of researchers, activists and academics in field of urban commoning movements in East Asia for a future conference. Bin-Zib’s success over six years, through which people share their money and space with others as much as they want/can, has shown the possibility of creating a “common housing system” without public intervention. 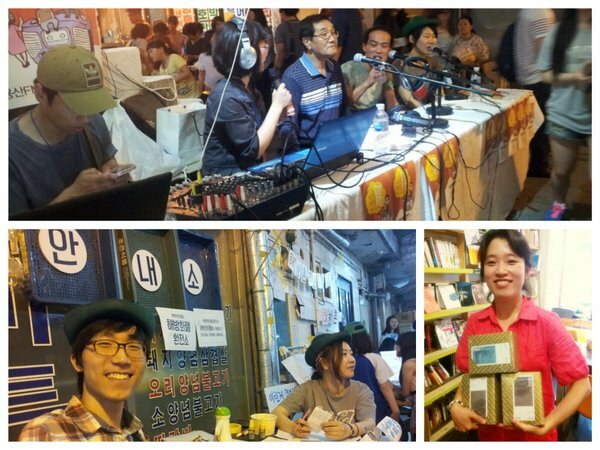 Although Bin-Zib‘s emergence and growth are unique in the political topography of South Korean social movements, today their relevance to society is becoming greater as similar communities are appearing around the country. The primary purpose of this research project is to understand how and what kind of a collective subjectivity is produced in a specific attempt to build a different mode of social economic exchange. Following the trajectory and dynamics of the community rather than imposing outside values to understand and analyze it, I conducted ethnographic field research, combined with a wide range of archival study. 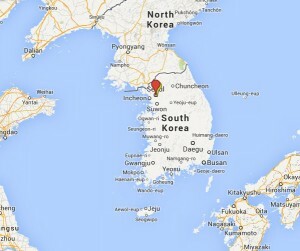 This entry was posted in Boundary Crossing, Local epistemology, Research Ethics, Researcher's Positionality, Urban Ethnography and tagged Bin-Zip, Boundary Crossing, fieldwork at home, local epistemology, Positionality, Seoul, South Korea, urban ethnography. Bookmark the permalink.